It’s rare for such a simple, pleasant, harmless film to come along. 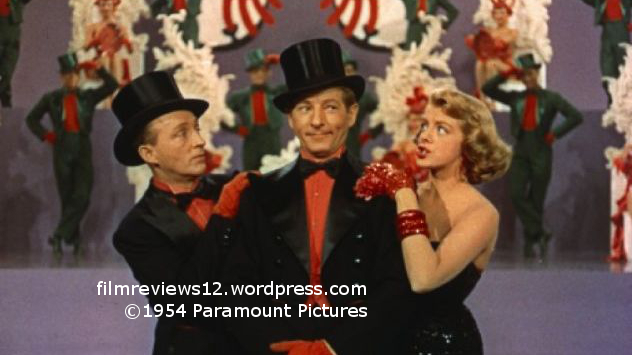 White Christmas moves at an enjoyable rate, contains a handful of well choreographed and beautifully sung songs, and remains nothing short of commendably entertaining for its 120 minute runtime. Bing Crosby and Danny Kaye play Bob Wallace and Phil Davis, two World War II veterans who used to entertain their fellow troops in the 151st Division. Upon returning home, they transform their pastime into a full blown act, becoming immensely successful and respected by their peers. However, as the years go by, there is evidence that the partnership may have been destined to be perfunctory – it only started after Bob saved Phil’s life one time during the war, and such a proposition would have been hard to deny following the circumstances at hand. In any case, they are sent to observe a new singing act, which consists of sisters Judy (Vera-Ellen) and Betty (Rosemary Clooney). Bob and Phil are immediately captivated by them, and join them on a trip up to an inn up in Vermont where they were scheduled to perform, run by General Tom Waverly (Dean Jagger). The inn, as it transpires, is in desperate straits and may have to close. Bob and Phil, not willing to let their former superior officer’s business fail, hatch a plan to bring business back in the days before Christmas. This movie is directed by Michael Curtiz, who directed Casablanca (1942), a film that sits comfortably in a high spot on my personal top 10 list. While White Christmas may not be able to achieve that same position, there is still a notable and sufficient quality at hand. It’s beautiful to look at – lush sets of the inn, great and large musical numbers photographed brilliantly by Loyal Griggs, and colorful costume designs. The most obvious truth of films like White Christmas is that if the music is not satisfying, then the film has failed as whole. 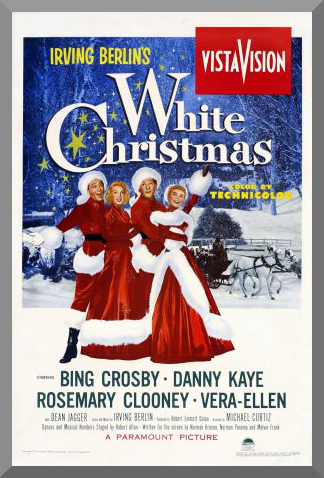 The songs within are varying degrees of that, and of course at the top is the recurring titular piece, “White Christmas”, which first debuted in Holiday Inn (Sandrich, 1942), a film of great geographic similarity. However, unlike Holiday Inn, which used a thinner plot as simply a way to carry its own songs, White Christmas has an efficient enough storyline that it could be carried as a movie on its own, and creating a more full experience. White Christmas has become something of a holiday staple for valid reasons; an interesting story, energetic performances, good music, and a general warm buzz that spreads throughout. It’s not perfect in any sense, but there’s just enough positivity going around that I give this my third three-star rating in a row (I really need some variety).